Leesa Rowland's new release, Discovering the It Factor Within You: Developing Your Charismatic Personality, dives into the behavior changes and mind-set needed to access your potential, develop your charisma, enhance happiness and maximize your spirituality. Leesa's research found that everyone has the ability to be charismatic. Many charismatic people are not necessarily beautiful or handsome. True charisma comes from within, and if you believe that charisma is inside you it can be developed. What sets this book apart is that it includes the spiritual and religious aspects of charisma, not just the science. What Is Charisma and How Can You Create It? Is Charisma Related to Spirituality? 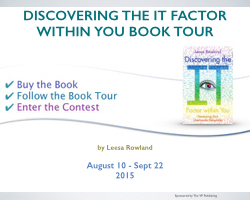 Writing Discovering the It Factor Within You took Leesa Rowland over five years. She started by journaling the challenges and experiences that happened in her life. Leesa is a member of the International Women’s Writing Guild. She has studied method acting, yoga, spirituality, charisma, Buddhism, and metaphysics for over twenty years. Discovering the It Factor Within You is available on her website, Amazon and Barnes & Noble. The elements of charisma vary from person to person. Some people have it in the way they speak; some have it in their looks or style; others express their It Factor through their gifts for singing or dancing. Whatever its expression may be, there is charisma within all of us, but you must look in the right direction to bring it out and continue to make the very best use of it. Never forget that you are a unique individual, and you need to accept, present, and protect that uniqueness. The excellence of your personality is solely your own, something the Almighty designed exclusively for you. It is your duty to accept it, beautify it, and shape it in the best possible ways so you can retain it forever. That takes a great deal of effort, and those who are among the most alluring and impressive personalities are not afraid of working hard and making serious efforts. Do you want to be one of them? This giveaway is open internationally. No purchase necessary to enter the contest. One winner will receive a $25 Amazon Gift Card or PayPal Cash. One winner will receive a Free Digital Copy of the book, Discovering the It Factor in You. 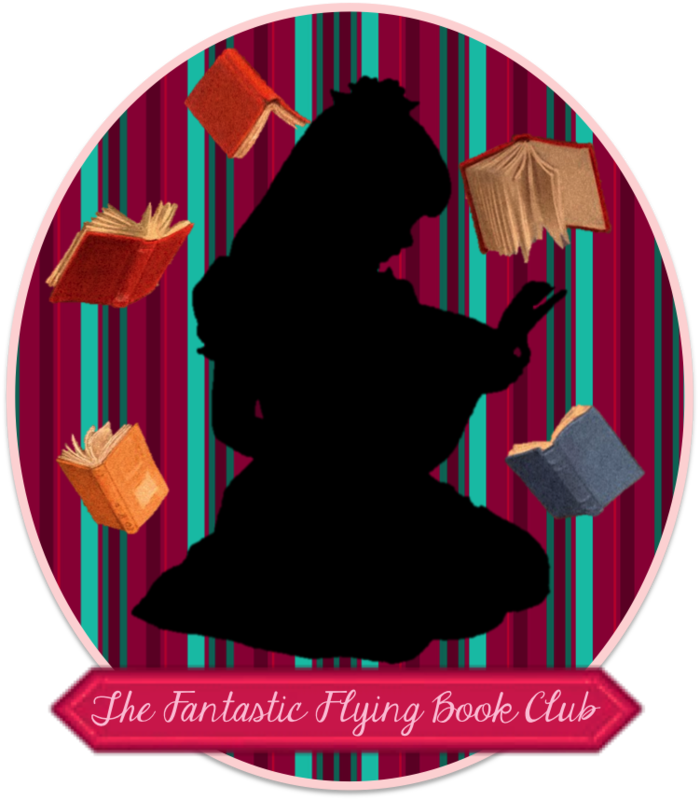 Enter through the Rafflecopter form below. I think a lot of people would benefit from reading this book! THank you for hosting this giveaway, I appreciate it. Asking people to make a purchase in a giveaway entry, 1. defeats the purpose of a "giveaway", 2, makes the giveaway seem unreputable. Authors have other sources to sell their book, please don't make a giveaway a tool for your sales. It makes me want to NOT buy the book. Jan, I will pass your feedback along to the publicists since they created the Rafflecopter. Fortunately, a purchase is not a requirement to enter, just a way to gain additional entries and support a charity. I can certainly understand your reasoning, though, as to why it's a turn-off to entrants. I would have to agree with Jan Lee. All giveaways and sweepstakes that I've ever entered always state that no purchase is required, though I do understand the author wanting exposure. I have to say that I almost didn't enter the giveaway myself, because of that same "BUYING" entry. I didn't realize until I read these replies that you didn't create the form. As it is, by sharing & liking, etc. this is a way of free advertisement (especially IF we do not win). Thanks for the info & the giveaway. I think an added corollary to the comment about 'BUYING' entries (which I have never seen as a mandatory, just an option) is the use of requiring membership in various social media sites as mandatory entries. I can understand authors/companies/etc HAVING memberships in all of them, if they can even keep up with them, but find it too controlling of them to require that all of us have those memberships as well. No problem with them as optional entries--that becomes a personal choice. Thanks so much for the chance to win some much needed help this time of year! I always get stressed and have decided this year, I am not going to do that or at least try my best not to! I hope I win! It's my birthday in a couple weeks. Thanks for the giveaway. I'm always interested in self improvement and there's a lot of room for improvement. This book would be very helpful to me. Although my husband and I are safe, what I must do is overwhelming. Maybe this book would give me my confidence back. I entered the contest and this would be great to win!